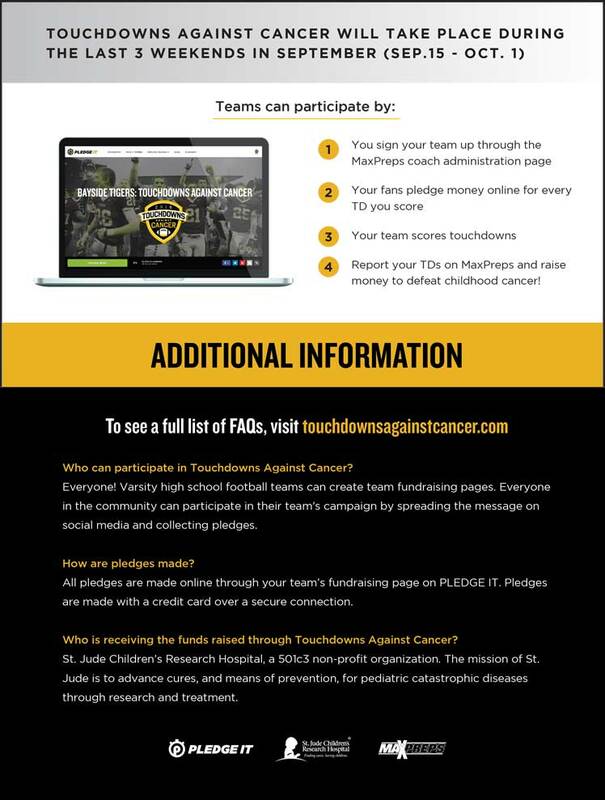 To receive additional information about the program or to learn how your team can join, email us at support@pledgeit.org. 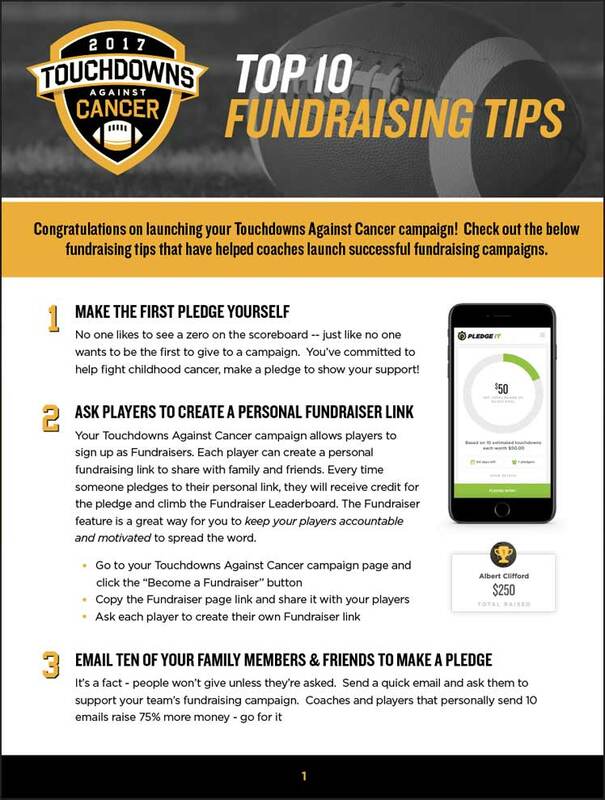 Included you will find fundraising tips and best practices for maximizing your campaign’s fundraising potential. 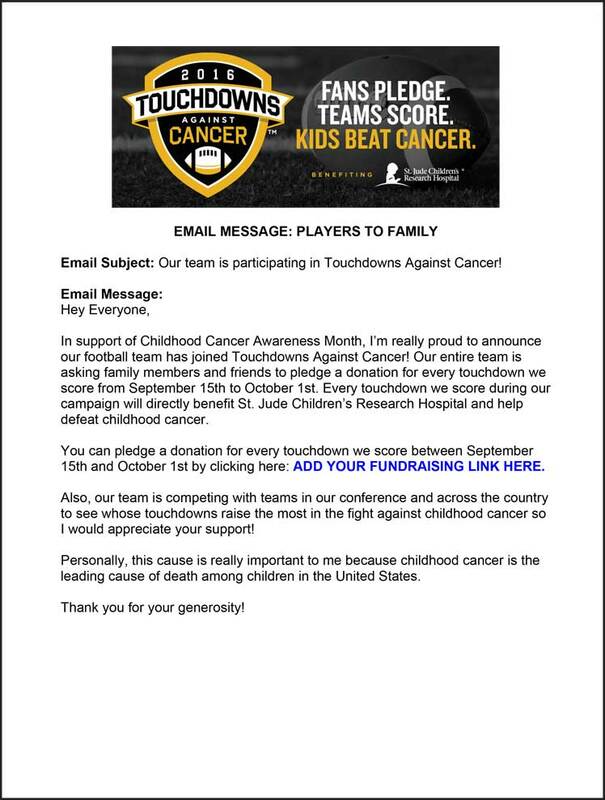 Download this email template you can use to send to friends, family, and other members of your community! 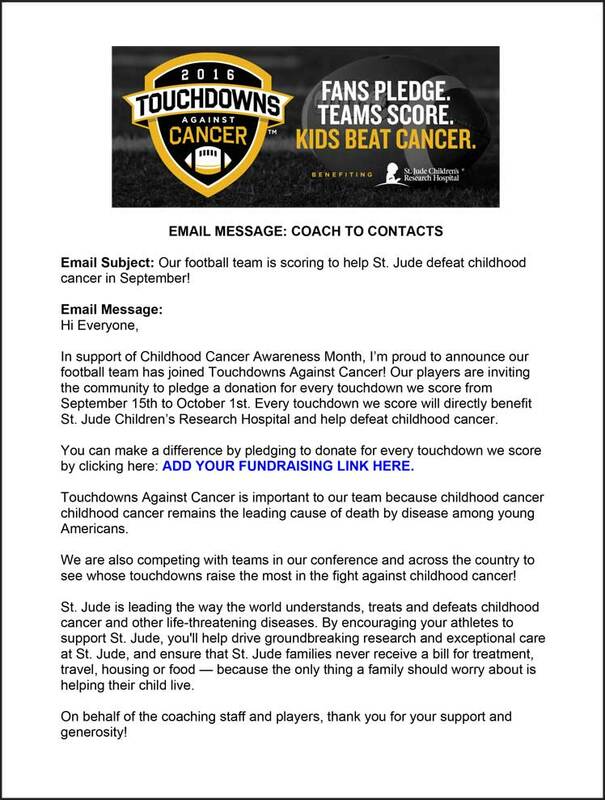 Players can use this email template to send to their friends and family, inviting them to support their cause. 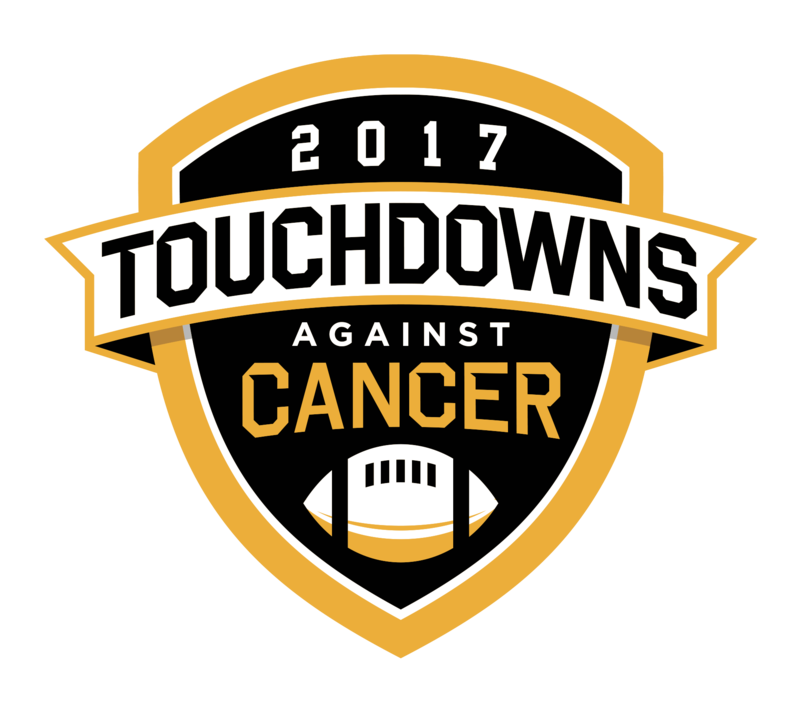 Provide this informational document to coaches, athletic directors, school administrators or local media to introduce them to Touchdowns Against Cancer.